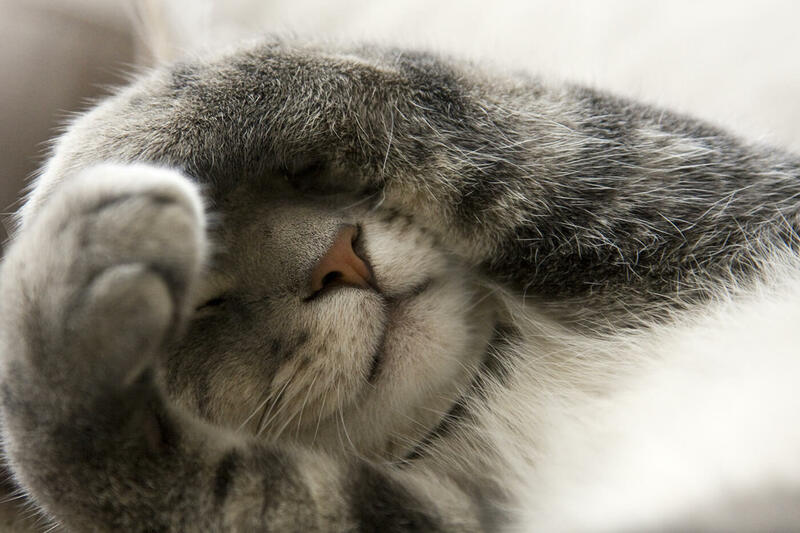 Feline allergic dermatitis - Have we seen your cat lately? An allergy occurs when the immune system reacts or over reacts to substances that are usually harmless. Allergic dermatitis involves allergies which result in skin problems and can be caused by many different allergens including environmental substances, food ingredients and parasites e.g. fleas. It can sometimes be very difficult to confirm the exact cause of the allergy. Environmental allergens that the cat breathes in or absorbs through the skin, such as dust mites, pollen or moulds. Your vet will examine any skin lesions to assess for any secondary problems or potential causes e.g. bacterial infections or parasites. Intradermal skin testing may be used where allergens are injected into the skin to assess for a hypersensitivity reaction. Inflammation or infection of the ears. Cats not on regular (year round) and effective flea control are at risk of flea allergies. Medications to reduce itchiness and scratching may be required. If a food allergy is confirmed then feeding a diet without the food ingredient should prevent the signs (with veterinary advice).